I was there at the press release of the MTV, Jeepney Music and Department of Tourism collaboration and was impressed by Apl De Ap after learning the story behind his advocacy to promote Philippine Tourism and to help discover new talents. It was Apl De Ap’s initiative, through his recording company Jeepney Music, DOT’s willingness and MTV’s support that made this project possible. This collaboration is called MTV Emerge. 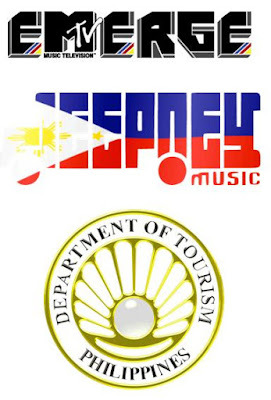 In this endeavor, the MTV – DOT – Jeepney Music collaboration will give away seven recording contracts whose official judge is Apl De Ap from Black Eyed Peas. Voting has begun and I have voted for “God Bless Philippines” by RapnoPhobia. I like the title and the genre of their music. They remind me of the great Francis M.
I am excited to hear the new groups that will be discovered. I am sure that the 7 winners will be truly deserving of the opportunity that will be presented to them. A few of the other emerging artists who will not be chosen, I predict, will be discovered by other recording companies. This MTV Emerge project is something that I am proud of. 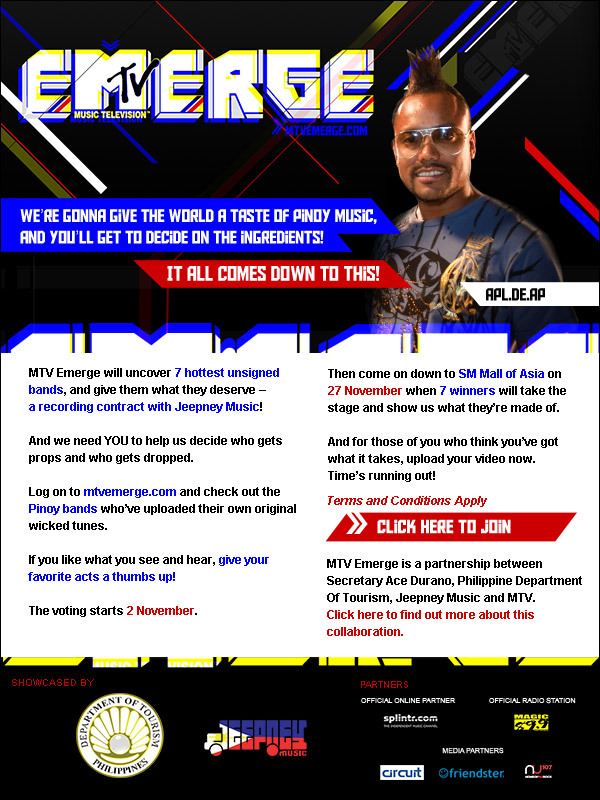 I hope all Filipinos who read this post will help promote MTV Emerge and support unsigned Filipino music talents.